You need to urgently read and understand these personal finance books else you risk financial ruin from making expensive financial mistakes. Reading personal finance books is a great way to acquire financial education towards financial freedom. Many of us never think of consciously managing our finances during our twenties or even in our thirties. We spend all of what we earn, and sometimes beyond what we earn. We also never had or sought a financial mentor to educate us. My own story is that I racked up substantial credit card debts when I was in my early thirties. I had six credit cards and all of them were near the maximum limit. I was earning just few thousand ringgit a month then. Every month I only paid the minimum charges. You can imagine the interest being charged! Despite being viewed as an “expert” in numbers and finances, but I was not walking the talk, and making all sorts of mistakes. In hindsight, to be successful you just needed to do the opposite of what I was doing wrong then. My wake-up call came when I didn’t have enough money to even pay for my son’s nanny’s salary. It was a very depressing time. And then I happened to come across my first top personal finance book which really opened my eyes. This personal finance book piqued my interest in reading and motivated me to get my finances right. Thankfully these are all now history and today I am no longer deep in debt. Please don’t blame anyone or anything for your financial problems. Wisely, you can get some help but ultimately it is your responsibility to work on your finances. Start by investing in knowledge. Robert Kiyosaki is an investor, entrepreneur and best-seller author with an estimated net worth of around $80million (according to Forbes in 2012). He learned how to managed his finances from his two dads where one is not highly educated but a successful businessman and the other dad a highly educated lecturer who died a poor man. His financial self-help books have sold over 35 million copies worldwide. The concept of “study hard, get a good education, get a good and stable paying job” are ingrained in our mind by our parents, friends and relatives. Do that and you will be alright for the rest of your life. But once you get into the rat race it will be difficult to get out and this prevents you from growing your wealth. One main reason is that we are afraid of society disapproval. Without financial education/intelligence, “Greed” and “Fear” will drive you to make financially wrong decisions. No training on financial intelligence in the school system. To start growing your wealth, start financial education as early as possible by evaluating your current finances and set your financial goals. To grow your wealth, you need to learn to manage and take calculated risks. Keep motivating yourself. Growing wealth is a long-term process where you will face setbacks. Take action on things that should be done. Put your ego aside in growing wealth. If you don’t understand or doubtful, admit it and seek further information. Spend your money on assets and not liabilities. Assets produce income (spending money to make more money), Liability incurs cost (spending money for personal enjoyment). Maintain your day job while investing in a business. Your job (profession) pays for daily expenses. Your business grow your wealth. Incorporate your business and understand tax law to maximize your tax benefits. START RIGHT NOW! Get Financial education › Strong financial intelligence › Ambitious mind & Motivated › Growth in wealth › Financial Freedom. Financial wisdom and success set in the prehistoric kingdom of Babylon refined into current world advice to accumulate and grow your wealth. Don’t spend all your earnings. Save and invest wisely to build wealth. Be humble in your financial knowledge. Always admit there is more to learn. To be rich is a long process. Take calculated risks. A process of trial and error. Experiment but at an amount you can afford to lose without causing much stress. Work hard to earn money but make sure your hard-earned money works harder for you to attain wealth by making long-term investments. Chance is random but luck is created. You are luckier because you proactively look for wealth creation opportunities. If you don’t need it or can’t afford it, then don’t spend on it. Taking on debts on things you don’t need is a bad idea. To become wealthy, spend less than what you earn. Invest the balance, wisely. Luck is created by hard work and is not random. It’s straight talk about approaching banking, saving, spending and investing. Everybody can do it (become rich) by having concrete goals and a action plan. Saving as early as possible has a lot of benefits. Setup automatic savings and investment systems. Take personal responsibility and accountability for your financial difficulties, not anybody else. Credit cards usage should be used smartly. Spend less and pay off debts every month. Poor credit scores will cost you more on your future loan. There are many choices for banking. Find and use the best bank which gives you the highest interest for your savings, and no fees checking account. Start investing as soon as possible even as little as 50 bucks. Investing is the most effective way to get rich. Adopt “Conscious Spending”. Spend less on unimportant things and more of things that are important and care about. Your bills payment should be automated. Your accounts connected to create automatic transfers. 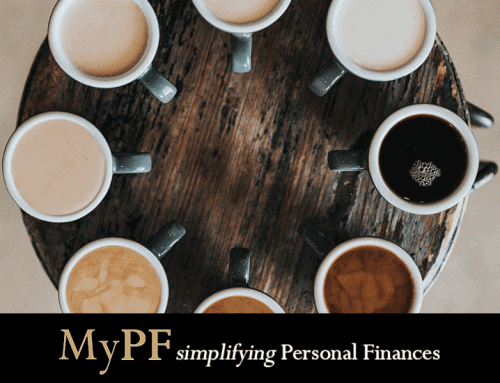 Simplify your investments by starting a life-cycle fund (all-in-one investment in a single fund, a diversified portfolio with asset allocation geared towards your retirement). You don’t have to be an expert or stress yourself in managing your finances. 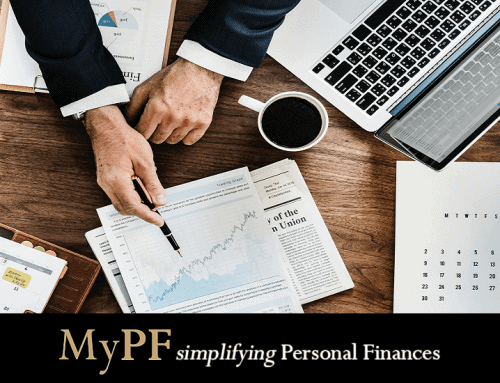 Keep your personal finances simple through automating your investments and bill payments, opening a no fees bank accounts and consistent investment regardless of amount. This is a classic. The author interviews a few hundred-successful people (millionaires, captains of industries, famous inventors & writers) of his time on their methods used to become rich. Sold more than 100 million copies. To achieve your goal, you must have a deep yearning for it. You must want it so much. Setting goals and planning for the actions are the premises of each accomplishment. To be successful you must believe in yourself. Constant affirmation and visualization will impact our behavior. Create your niche. Acquire special knowledge. Knowledge is power. The power of imagination to victory. Understanding your very own strengths and weaknesses will increase your possibilities of professional success. Positive feelings are the important thing to a fulfilling life – and want to be bolstered. A successful person is well-known for his or her determination and steadfastness. To be successful you need to be relentless and persevered. Accomplishing exceptional matters requires you being smart and surrounded by smart people. Luck has nothing to do with getting rich. To be rich you need to acquire different skills and cultivate certain habits. Discover the steps to financial freedom regardless of where you are in life. Let your hard-earned money work harder for you through the power of compounding. Invest consistently regardless of amount. Don’t invest blindly by just taking advice from “investment gurus”. You must do your homework, and research on your choice of investment vehicle. Know what you want. Then set your financial goals accordingly. It takes time to reach financial freedom but if you start early, time is on your side. You can take advice from successful investors. Adopt risk management to protect yourself during bad times. Anyone can achieve financial freedom. Anthony Robbins reminds us the way to becoming financially independent with this easy method: earn extra, spend much less and automate the investing procedure. I hope after reading this article, you will pick up one of the personal finance books mentioned above or here to read. Do let us know what you have learnt from these books. And if you liked reading this article, please share! Sharing is caring!